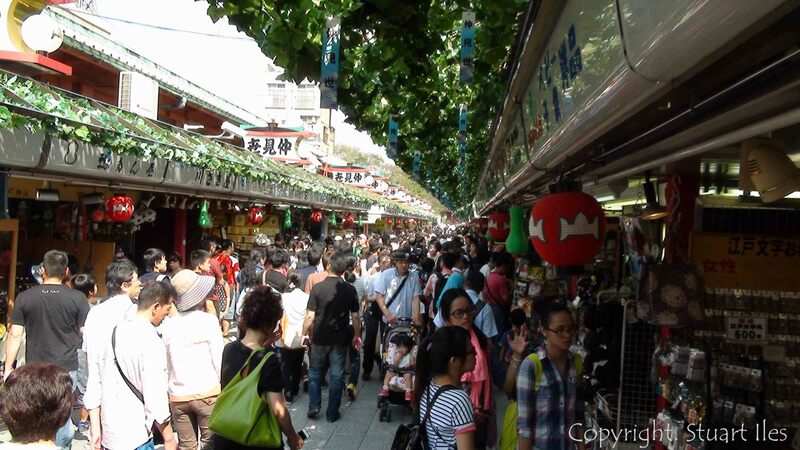 I visited Senso-ji earlier this month and it is by far the busiest temple I have been to. On a flyer I picked up it noted that 30 million people visit the temple every year, I reckon there were probably 10,000 people there on that day. Anyway, back on topic. I wonder how many people who visit the temple know its rich and long history. Kaminarmon Gate. Original was built in 645, this was built in 1960. Unfortunately covered up for repairs. Nakamisedori, linking the Kaminarimon Gate to the Hozomon Gate. 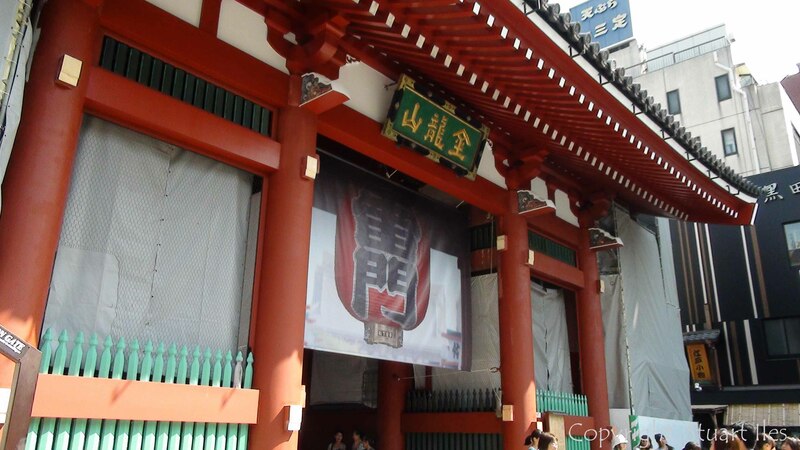 Senso-ji is made up of 10 buildings and gardens. It is a very pretty setting near the Sumida river. The oldest original building, the Great Hall was built in 645 AD. It was however destroyed a number of times before Iemitsu Tokugawa rebuilt it in 1649 and stood until the 1945 fire bombings. Such a shame. The current building was built in 1958. In 645 AD famous Buddhist monk Shokai visited Edo, which was only a small fishing village at the time curious about a story he had heard. Two fisherman brothers had received a command from the heavens to cast their nets into the Sumida river. They did and when they pulled their net back in it contained a golden statue of Bodhisattva Kannon. All the villages became devout worshippers of Bodhisattva Kannon and Shokai, as a reward built the main hall for them to pray and is known as the founder of Senso-ji. 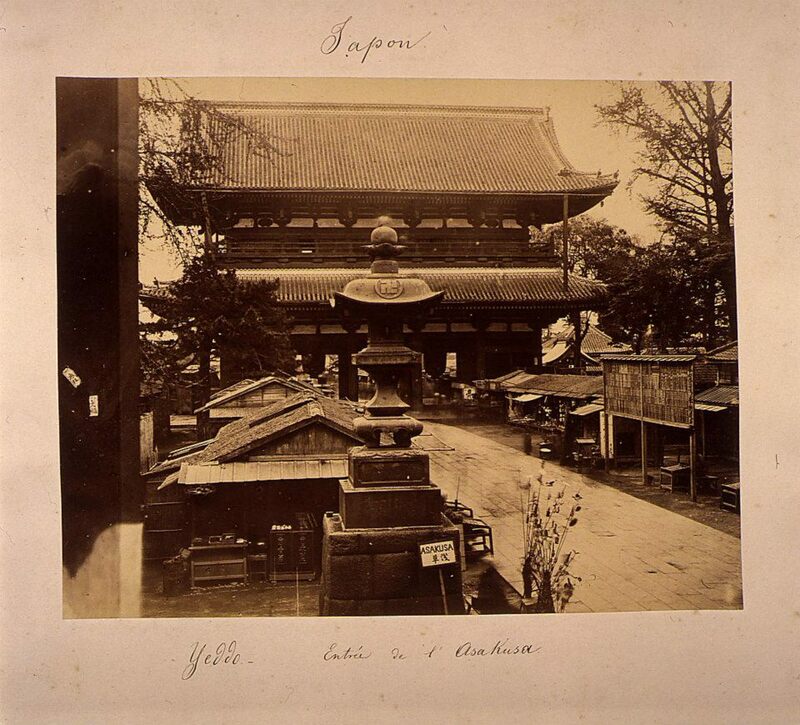 Shortly after the Kaminarimon Gate, Hozomon Gate and five story Pagoda were built. 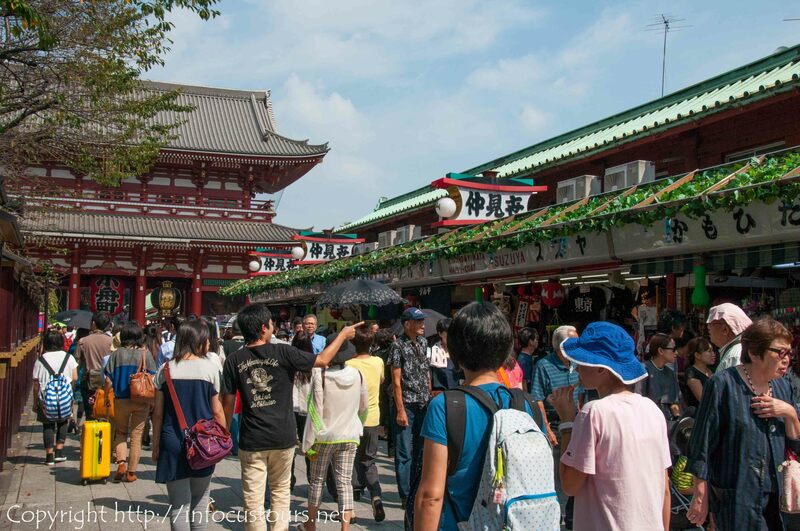 People began to travel far distances to visit Asakusa and Senso-ji. In the mid 9th century, Ennin, the head priest from Enryakuji (see my article a few months back for more info on Enryakuji) visited Senso-ji and made a new golden statue for the temple and called the spirit of Bodhisattva Kannon into it. 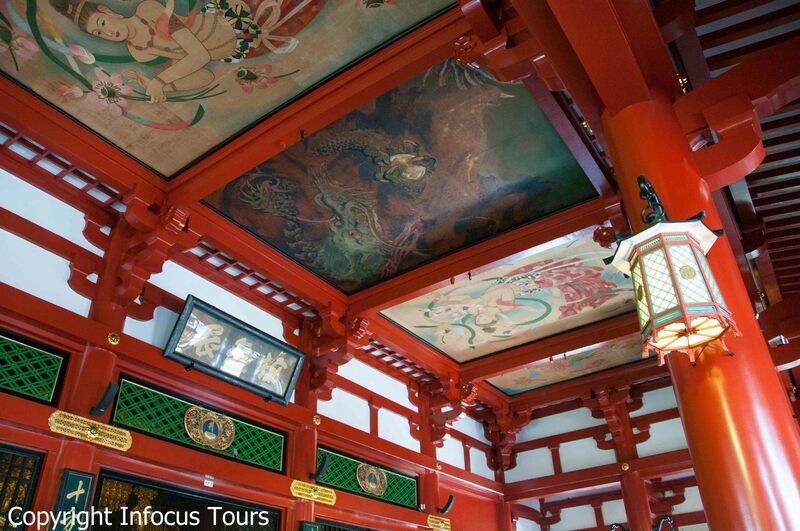 This sacred act attracted even more worshippers and by the Tokugawa period which began in 1603 was designated a national sacred site of worship. 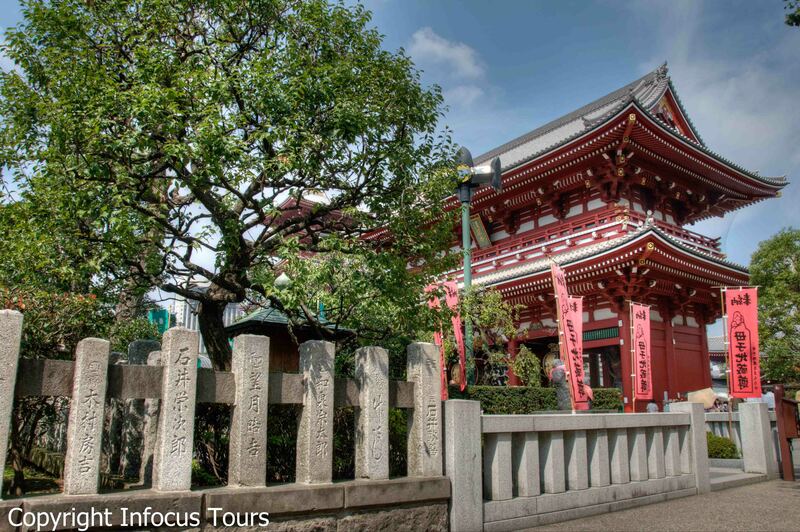 From the Tokugawa period to today Asakusa and Senso-ji temple complex has been, and still is an important place of worship for Buddhists. I was looking through my old photos and found this Meiji period photo of Sensoji. I remember taking a photo from nearly the same position a few months ago. Its not from the elevated position but it is about the same distance away from the main gate. I love the feeling of being able to stand in the same place as a photo in the same place over 120 years ago. Previous Post Why didn’t Japanese seafarers find the Americas?